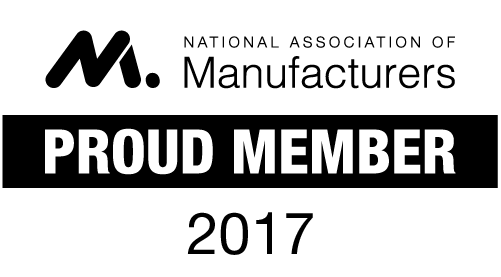 Precision Manufacturing Insurance Services (PMIS) is recognized throughout Southern California for our commitment and passion in protecting the sustained and future growth of the manufacturing industry/businesses that help make up the fabric of our communities. We do this by combining unmatched service, deep expertise and experience supported by access to top-tier insurance companies to offer an affordable, comprehensive insurance package. Our focus in manufacturing includes machine shops – businesses working with metals, plastics or composites. Our insurance solutions cover everything from liability and property insurance to workers’ compensation and more. We offer coverage to help protect you from general liability exposures, including premises liability, product liability, product recalls, contractual liability, and patent infringement. We also offer commercial high risk and aircraft products liability, errors and omissions and employment practices liability, among other key coverages. We will discuss the need for excess liability insurance to protect your shop in the event of a catastrophic injury or accident. Our staff will review your need for foreign liability coverage as well. This includes directors & officers liability insurance, employment practices liability insurance, and fiduciary liability insurance. We will evaluate your property coverage requirements, including the replacement cost of your building, value of your machinery and metalworking tools, office equipment, inventory, and finished goods. Our staff will look at your equipment breakdown and business interruption exposures to ensure you have the appropriate coverages to protect you should you have a loss. We also provide coverage for property of others in your care (molds & dies), goods in transit, your business personal property temporarily at another business such as heat treaters, grinding shops or plating operations, your computer hardware and ERP software, and for employee tools at your premises. Your employees will be properly protected with workers’ compensation insurance for on-the-job injuries, accidents and illnesses. We will conduct a review of all documents and factors that go into determining your workers’ compensation premium to see if there are any miscalculations. We will review your safety program to see where improvements can be made to help drive down costs. Additionally, we can help you attract and retain talent with a robust employee health benefits program that includes products custom-built for manufacturers. Manufacturers are faced with requirements of higher tolerance parts, more competition, rising costs of materials, changing government regulations and enforcement, rapidly evolving technologies, stricter compliance standards—not to mention managing people. This is why at PMIS we make risk management an integral component of your insurance. We’ll assist you in identifying risks and developing countermeasures to minimize your exposures, contain costs and help you ensure compliance.